Having several hot air balloons of different sizes gives us the flexibility to offer various balloon rides. 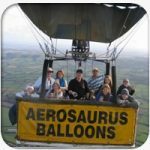 All charges are based on meeting at one of our standard balloon flight meeting locations. Subject to geographical or aviation limitations, it may be possible to have a balloon flight from your own personal launch site, in which case a small additional balloon positioning charge will apply. If this does apply to you then please call us to discuss. Flight Voucher Valid for 12 months. Complimentary Champagne or Soft Drink. Total Standard Itinerary 3.5 – 4 hours. 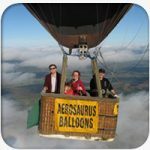 Wherever possible your balloon flight itinerary will start and finish at a location suitable for breakfast, tea, coffee etc after a morning flight and a supper after a later afternoon, evening flight (breakfast/supper cost not included). Hire our smallest balloon for a truly memorable exclusive flight for 2 people. Ideal for proposals, special anniversaries and special occasions. 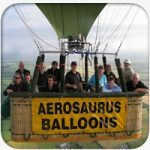 Our largest balloons will take 15 – 16 passengers and can be hired for exclusive use for large family celebrations, groups of friends or as a corporate day out/reward. For larger groups we can arrange multiple balloons, please enquire for details.